When we look back at our childhood, where we didn’t have to be bothered about work pressures, mortgage payments or credit card bills. We know that it will never return. But did we have the same feeling while we were kids? Did anything make us lose sleep during our younger days? In reality, the kids today live with many multiple issues that provoke anxiety. Mentioned below are a few of them, and how you can help them overcome these anxieties. There are bullies everywhere. It’s the same in the kid’s world too. The preschool is the first social exposure and the first social interaction for many kids. Unlike our childhood, the current generation of kids spent their early years in a protective environment. Now a child is admitted to preschool at the age of three, and is suddenly exposed to several new faces. However, some kids in the same age group, can be smarter than the others. They may not be intelligent, but just street-smart because of different backgrounds. Shy, timid kids are bullied into submission, made fun of, or are even physically attacked at a school. They may, or may not talk about it at home, and parents maybe too busy to notice any change in behaviour. It is important that parents look for such changes or even listen to them occasionally. It is possible there could be serious issues developing that threaten their development as an individual. You can control this by making the child feel more secure and by giving him courage. You can also make him understand what they should put up with and what steps they should take. Make sure they speak out, should anything which is not acceptable happens. Now this is extremely important in case of sexual abuse. This is common in today’s society, where young children often fall prey to revolting characters. A bold and secure child will speak up to his parents or teachers, should anything happen around home or at school. Encourage good friendships with other kids as they will be a good support base for any kid at school. Likewise, it is also important for the parents to meet regularly with the school authorities. This will enable them to keep track, should anything happen in school. Another problem that affects the children are domestic dispute between parents. Children are often mute spectators of arguments, vicious verbal battles or even physical violence happening at home. Adults are often in their world, never aware that their kids are getting hurt in the process. These emotional disturbances can come out as misbehavior at school, becoming bullies, losing interest in studies and even excessive crying. It is the parent’s duty to ensure a peaceful home for a child, so if you are having trouble, try seeking help. Try to resolve issues quickly, and move past differences. A child’s rights also need to be protected always. The next problem is divorce or separation of parents. When parents cannot resolve their differences and separate, this can bring much insecurity to the child. Thoughts such as what will happen to me, where I will live now and who will take care of me are common. 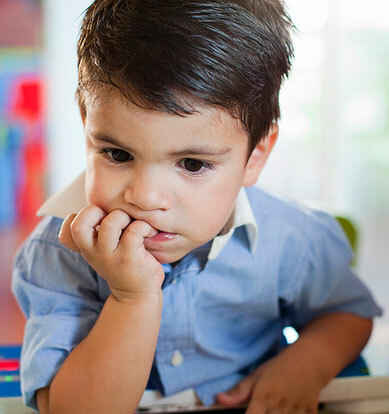 These questions play an important role in your child’s upbringing. Be clear to them about your plans; make them aware of your accessibility. If possible, don’t change your place of residence, as this will further upset them. All these matters should be taken care of. Be in contact with one another for your child’s issues. This will not only make them feel secure that, even if not together, you both are there for them. This will go a long way in making the transition smooth.